**One of PureWow's "Best Beach Reads of Summer 2018"
Another fantastic book! Just love the way she writes! Family secrets and drama are something every family experiences. 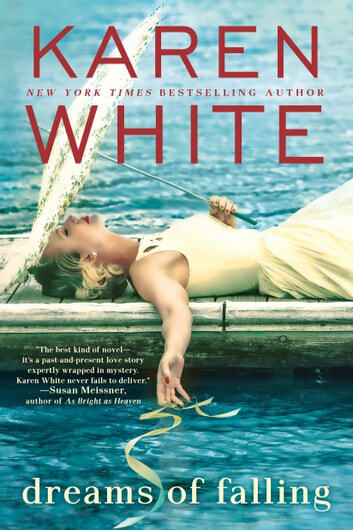 Larkin ran from her hometown and family to escape all that but when she is pulled back due to her mother being in the hospital she starts to realize that her memories may not be quite so spot on. What she thinks she remembers may not be the entire truth, there might be more to her family that she was never aware of, and there are friendships she left behind that might have more to tell. I loved that the friends she ran from still had open arms welcoming her home as if she had never left. The family that she left doesn’t push her to stay just work on reminding her what she was missing and why she shouldn’t leave again. Dreams of Falling is a story rich with family history. The history starts with Margaret, CeeCee, and Bitty and their amazing friendship. Add Ivy, Margaret’s daughter, to that history a few years later and the story just gets more interesting. Then Ivy has a daughter, Larkin, and you have three generations of wonderful, strong, and smart women. The thing with history is that there are secrets kept, hidden, or needing to be forgotten. 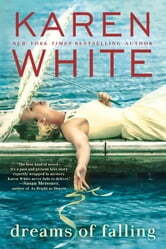 I am a Karen White fan and recommend this wonderful Southern fiction story.